Before I ever saw Hamilton the one thing I knew about Daveed Diggs was his rapping ability. His lyricism was already well-known and he has found a way to meld it into his acting career pretty seamlessly. 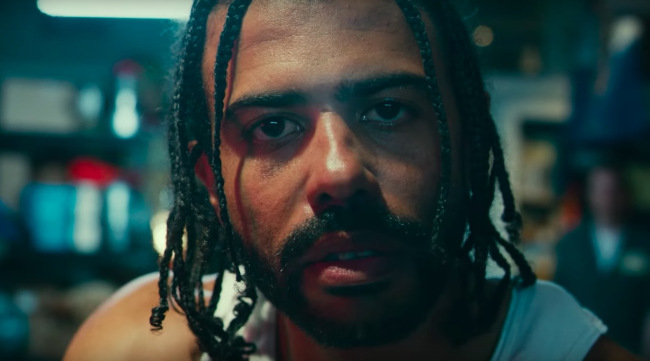 And there is no better example than in his new film, Blindspotting, which opened Sundance earlier this year to rave reviews, including from yours truly. Joined by his frequent collaborator Rafael Casal, the film will be part of the continued national conversation about race relations and law enforcement. Set against the backdrop of gentrified Oakland, it follows two best friends, one white and the other African-American, and the varying experiences they have in the wake of a police shooting that killed an unarmed black man. The trailer gives you a hint of director Carlos López Estrada's energetic visual style. It starts off with kind of a loose, Friday sort of feel but the intensity picks up towards the end. The one thing we don't get a sense of Diggs' character rapping through some of the film's most crucial scenes, including the big payoff moment that is one of the most powerful things I've seen all year and is sure to wake a lot of people up. 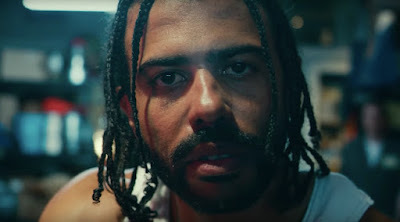 Blindspotting hits theaters on July 20th.